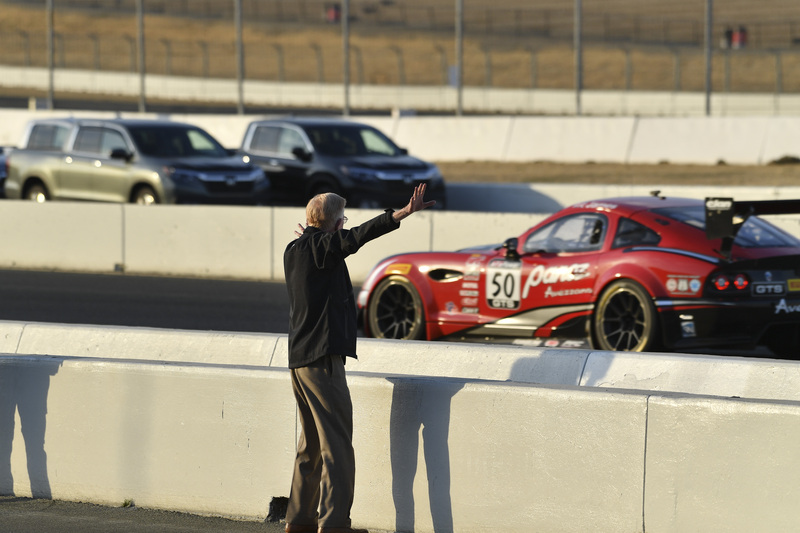 Don Panoz, the legendary entrepreneur, business man, family man, and husband, passes away aged 83, peacefully in the early hours of the morning at home with his family. 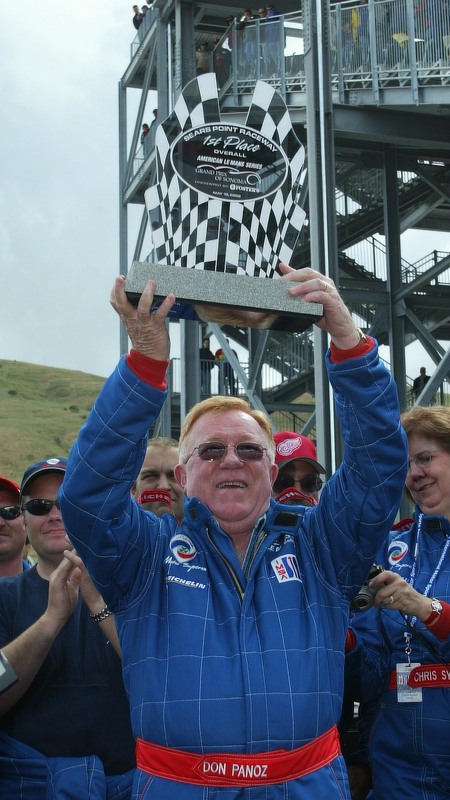 Sept. 11, 2018, Braselton, Ga. – In the early hours of this morning, Tuesday September 11, 2018, Don Panoz peacefully passed away at his home in Duluth, Georgia. After a short battle with pancreatic cancer, he enjoyed his last cigarette and said goodbye to the world in the early hours of the morning, surrounded by his loving family. Possibly most widely celebrated for saving sports car racing in North America or inventing the dermatological patch, ironically so for those that knew him and his smoking habits, the technology behind the nicotine patch, Panoz was a man known for questioning the norm. If someone told him ‘no’, he told them ‘yes’. This was the personality and the motivation behind the man, that can safely be said, has left a legacy of success and technological developments, not just in one industry, but across many. Starting out in the military, Panoz went on to enjoy a hugely successful career in the pharmaceutical industry. Alongside best friend and Co-Founder, Milan Puskar, Panoz co-founded Mylan Pharmaceuticals. When Panoz believed current technologies weren’t being challenged enough, the family moved to Ireland and built Élan Corporation, to continue the research and work in pharmaceuticals. Returning to the U.S. in 1980, the pharmaceutical industry was not enough for Panoz, so alongside establishing Élan Pharmaceutical Research Corporation in Gainesville, Georgia, Panoz ventured into the winery, golf and resort industries. First establishing Chateau Élan, also in Georgia, Panoz continued his investment in these industries, establishing Diablo Grande in California, Chateau Élan Resort and Spa in the Hunter Valley, New South Wales Australia, and St Andrews Bay Resort and Spa in Scotland. During this time, Panoz, with the help of friend Gene Sarazen, also set up the Sarazen World Open, an unofficial stop on the PGA Tour hosted at Chateau Élan in Georgia from 1994-1998. In the 1990s, Panoz, bitten by the Le Mans racing bug, went into business with son Dan, believing that racing was the best way to market Panoz vehicles and build the brand. Racing however, was not enough for Panoz and so he founded the American Le Mans Series, the founding series and beginning of endurance racing in North America. Also responsible for the Women’s GT Open Series amongst others, Panoz made a monumental impact in making North American racing what it is today. In addition to the street cars, Panoz delved into prototypes, always wanting to innovate and be at the leading edge of technology. From the Panoz LMP cars, through to the DeltaWing, Panoz proved that he could make a success out of anything he put his mind to. In 22 years of racing, Panoz vehicles have won and been successful at all the prestigious races around the world, including but not limited to, the 24 Hours of Le Mans, 12 Hours of Sebring, and at the Panoz-founded, Petit Le Mans. Panoz vehicles continue racing to this day, the Panoz Avezzano recently winning the 2018 Pirelli World Challenge’s GTS Sprint/Sprint-X Manufacturer’s Championship, securing Don’s desire to beat the ‘big boys’, the large OEMs, one last time. From the military, to the pharmaceutical industry; from the winery, golf and resort industry through to automotive, motorsports and manufacturing, Panoz has left an imprint of advancing technologies and producing outcomes no one would have thought possible. In his own words, Panoz endured a few nightmares along the way, but it can safely be said, the dreams outweighed all the way up until the end, with Panoz securing the 2018 Pirelli World Challenge’s GTS Sprint/Sprint-X Manufacturer’s Championship just earlier this month. In addition to all the career, business and work achievements, Panoz was a family man, a comedian, an inspiration, a philanthropist, an innovator, a visionary and most importantly a wonderfully entertaining human to be around. Details of a service at this time are unknown. In lieu of flowers, the family have asked that donations be made, details of a preferred charity to be confirmed. First time we met, he drove his wife into the shop where his son’s fledgling company was building a new American automobile design. They were dressed to the nines, me wearing jeans and a T-shirt, smelling of solder and new car parts with electrical tape goo on my hands. He had a knowing smile, ready handshake and bright-eyes. Interested in what was so important that staying late to finish was a welcome and satisfying event for me. Later on he gave me interesting challenges and welcomed me into his home and family. Pops left this world today and will be remembered well. I learned a lot from Don, especially about taking on extreme challenges and making tough on-the-fly decisions. He worked long hours and invested in what people can do, with a genuine appreciation for getting things done – using the direct approach. By studying more than the average person he had a diverse and never-ending education, qualities I share, admire and encourage. Sorry to hear of Mr. Panoz passing. He did America a great service forming the ALMS . I have enjoyed going to Sebring 12 hour’s for a while now. I started going right after Don started the series. He was an American innovator and inventor the best example of a self made man. God bless and comfort Dons family in their time of loss. I met Don relatively late in his life when he came to Concorso Italiano in Monterey. 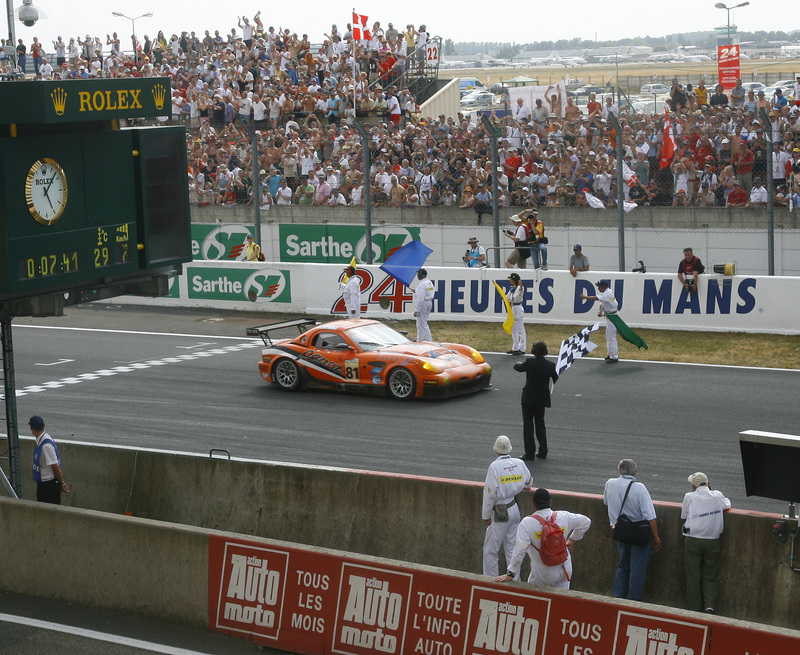 At that time Mr. Panoz’s most notable achievements were behind him. We inducted Don into the Concorso Hall of Fame on his enormous contribution to the automotive industry. But, before that induction we had much time with Don and his team. One finds in life that a man tends to surround himself with people of similar values and personality characteristics. Don’s team was unbelievably superb. As difficult as it was to imagine, Don was even better. He was a gentleman–a gentleman’s gentleman. He was gracious to me. Don was gracious to my colleagues. Don was gracious to every person I saw him encounter at a pre-event dinner at a local restaurant, at our event, and to the audience he addressed. To meet Don and to have an extended conversation with him, one would never know the enormous accomplishments in his life. Don’s very large footprints are the very footprints that all of us should strive to follow. He will be missed, but his legacy is forever. God bless him.